Tele Collection Officer Jobs in Fullerton | Walkin Drive 12th to 18th April 2017. Fullerton Walkin for Tele Collection Officer. Aspirants who had completed HSC they can attend for this drive on or before 12th to 18th April 2017. 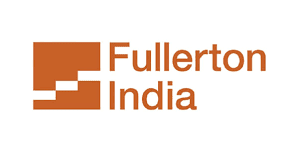 Interested aspirants must read this whole page, then you get clarity about Fullerton Walkin Recruitment in Mumbai details. Those who are interested in attending for this walkin they can check out Placement Papers of Fullerton, Mock Test and Fullerton Test Pattern which will be very useful for the applicant. For other IT Jobs candidates are welcomed to Go through our site All India Jobs for more Official Stuff. Tele calling the delinquent customers or as per Strategies outlined. Inter department follow- ups on a need basis. Ensuring timely escalations/ feedback/ MIS to management. Experience: Fresher / Minimum 6 months in Tele Calling. Collections tele-calling would be given higher preference. Working knowledge of computers and MS – Office. Fullerton India Credit Company Limited has successfully and strongly established Launched in Jan 2007. It spread broad financial landscape, with a network of over 528 branches and serving over 1.6 million customers across the country. 10,000 employees are working together with Fullerton. Applicants who are interested in attending for the Fullerton Recruitment 2017 on 12th April to 18th April 2017 they can check the required details which are mentioned in this post. Candidates who are interested and eligible can apply for Latest Walkins in Mumbai and for further details, you can visit the official website. Here is the exact place to search the Prescribed Details about Fullerton Walkin Recruitment in Mumbai. This page gives the details and entire information for your job search. Keep visiting Freshers Jobs for regular Job Updates.